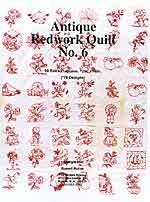 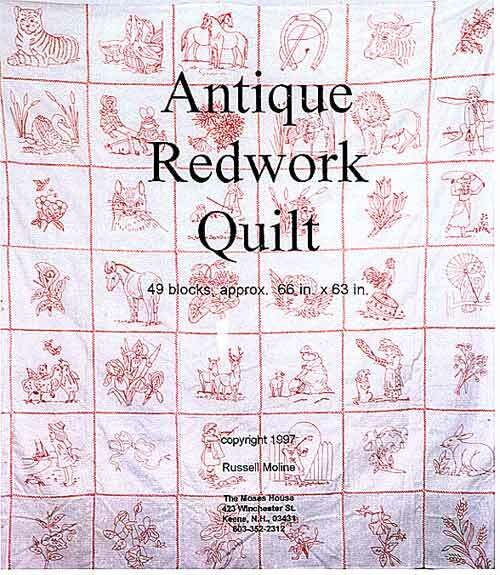 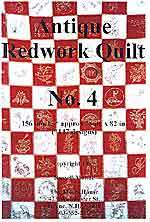 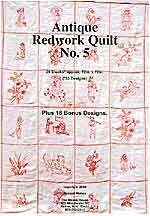 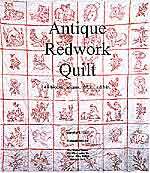 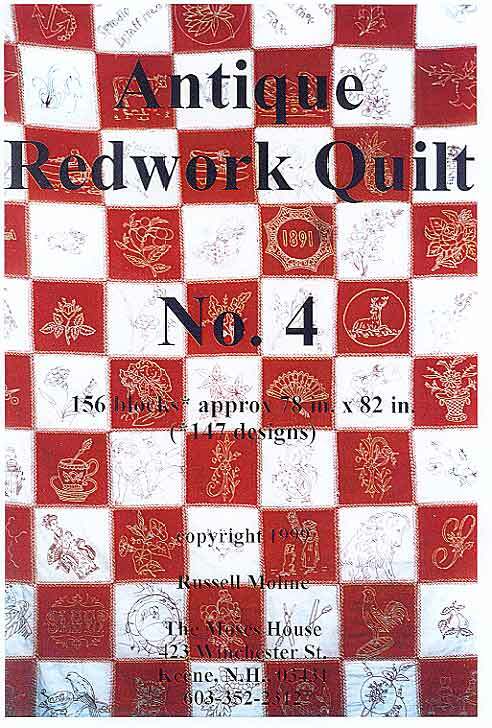 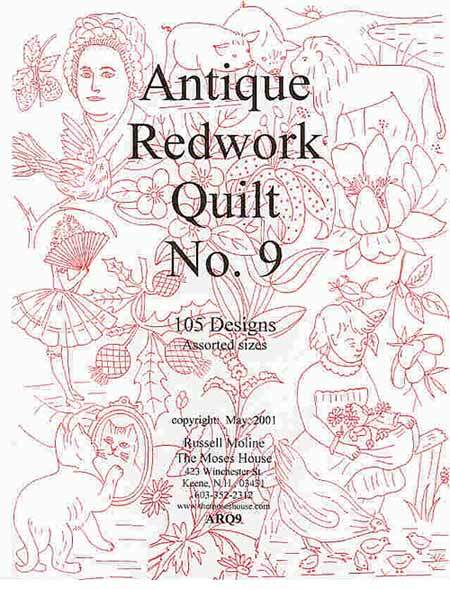 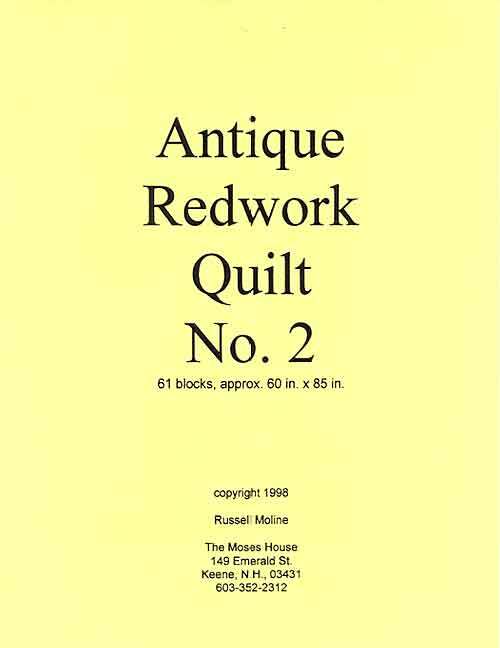 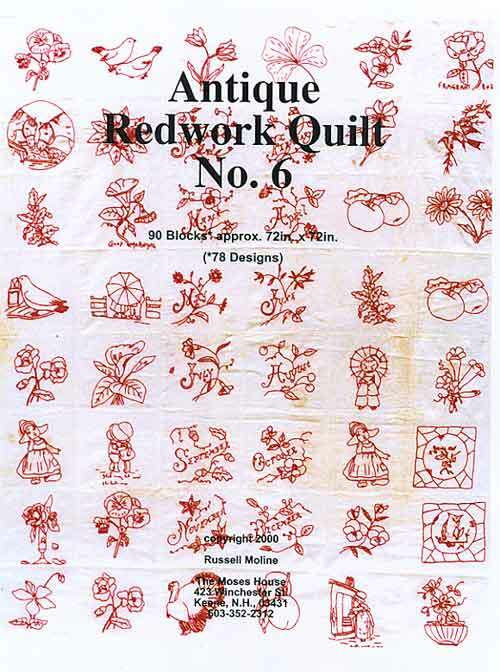 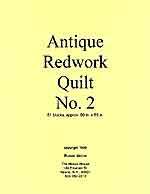 Each of our redwork books is a complete documentation of the designs and construction of an Antique quilt that we own or were able to borrow. 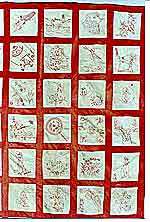 Any historical information we have about the quilt is also included - sometimes we have nothing, sometimes we even have a photo of the maker. 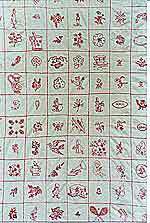 49 blocks 49 designs: 30 botanical, 13 animal, 16 misc.approximately 66" x 63"
81 blocks, 81 designs: 35 botanical, 31 animal, 4 people, 11 misc. 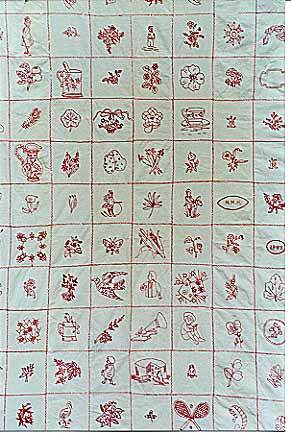 156 blocks 147 designs: 69 botanical, 32 animal, 20 people, 26 misc. 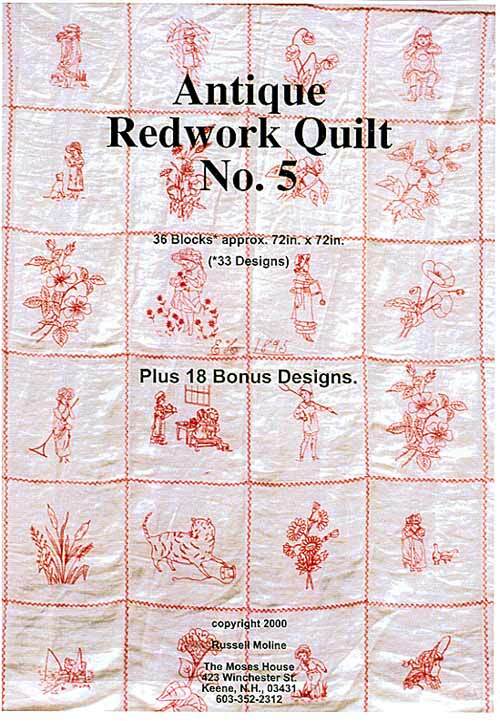 35 blocks 50 designs: 18 botanicals, 16 animals, 11 people, 5 misc. 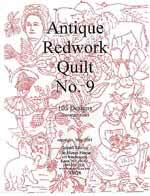 105 designs: 43 botanical, 40 animal, 13 people, 9 misc. 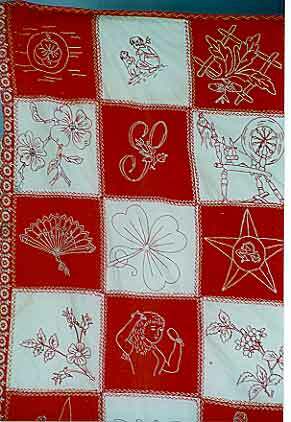 - various sizes. 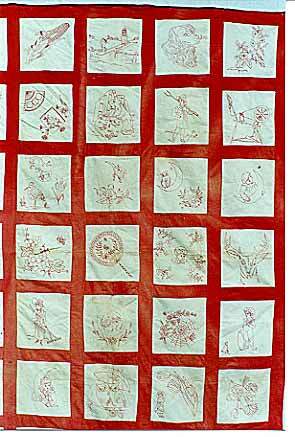 from "works in progress" that we have collected-some from original stencils, and unstitched "penny-squares".